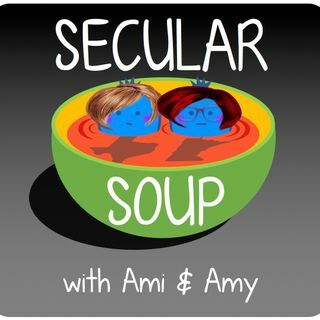 On our second episode, Amy and Ami talk with guests, Marissa Alexa McCool and America Darling Curl, about sexual harassment in the atheist community. Specifically, we tackle a major incident that recently occured with a prominent atheist podcaster. We continue to prove that we kind of have no idea what we’re doing with this whole “podcast” thing, but we’re still jumping in with both feet regardless! You can’t tweet at us, because we’re too old for the Twitters. -Marissa Alexa McCool for being our guest on this episode, and for producing our podcast. You can find and support Marissa’s most recent project, The Transgender Podcaster Visibility Initiative at Facebook.com/transvisiblepodcaster. -The delightful America Darling Curl for coming on to talk with us and for just generally being amazing. -Callie Wright of The Gaytheist Manifesto for helping out with last minute editing on this episode. It truly does take a village!